CRS is previewing a new patient comfort system, Rapport, at RSNA 2018. The new CRS Rapport. Image courtesy of CRS. Many MRI patients feel claustrophobic, anxious, or uncomfortable while undergoing an MRI scan. 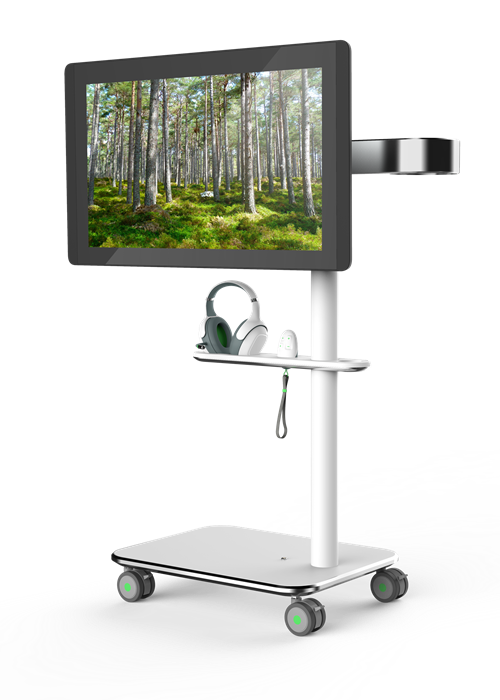 Rapport provides a two-way audio and video link between the MRI patient and the technologist, plus a complete patient entertainment system. The high-quality screen, wireless patient headphones, and remote control provide complete flexibility and ease of use, CRS said. The system can be positioned anywhere within the magnet room, with the patient screen viewed directly, or via a mirror from within the bore. Rapport is compatible with scanners from all major manufacturers, the firm said.